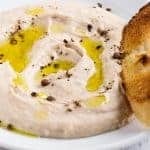 This classic white bean dip recipe is perfect for hot summer days when you want something light for a healthy snack or lunch. 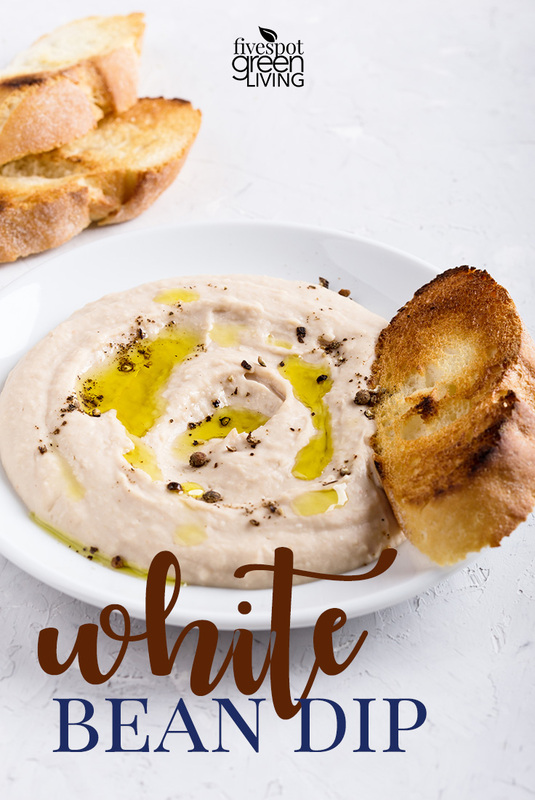 Pair with tortilla chips or pita chips and this makes an easy healthy appetizer! What goes great with pita chips and sparkling juice? Homemade white bean dip, of course! Place the beans, garlic, lemon juice, 1/3 cup olive oil, and parsley in the work bowl of a food processor. Pulse until the mixture is coarsely chopped. Season with salt and pepper, to taste. Transfer the bean puree to a small bowl. Serve the pita chips with the bean dip alongside a body of water with a good book in hand. I like going swimming and going to festivals! 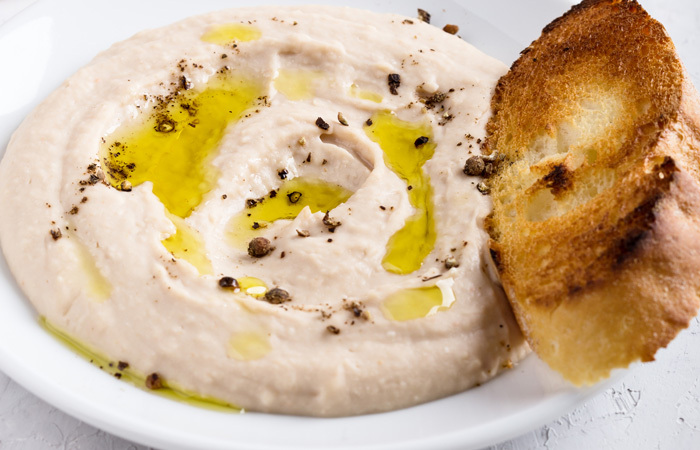 White bean dip does sound good, it would definitely be great with some chips. My favorite summer activity is picnics in the park with family. My favorite summer fun activity is taking day trips to the river to play around and swim! Like going to the street fairs and going for walks after dinner. I enjoy playing with the grandkids more, since they are out of school. We do all sorts of things about our property. I love having picnics in the park! My favorite summer activity is swimming and having a BBQ! I love to practice swimming every summer! 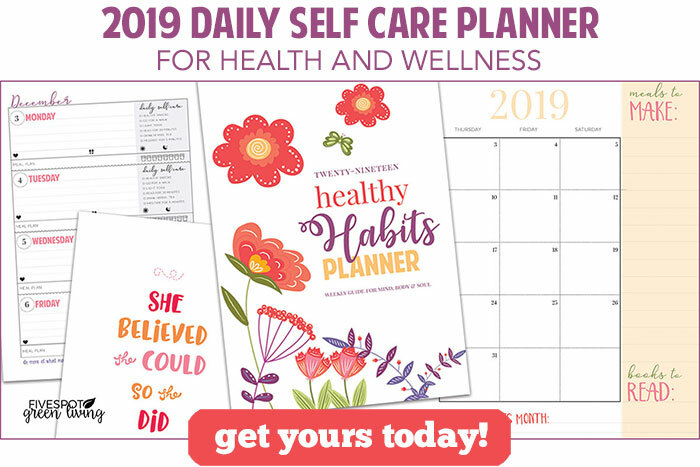 I say I will get it right this time and I keep doing it every year until I get it right! I love having barbecue and spending time with friends and family. My favorite summer activity is going to the dog park with my kids and of course the dogs. We love playing in the creek and with the other dogs. Favorite summer fun activity is hanging out by the pool. Catching rays on the beach! I like attending outdoor concerts. I love street fairs, the beach, and berry-picking. I love swimming and hanging by the pool. I love just hanging out playing games with my family. I love going swimming in the summer! Favorite summertime activity is going out on the boat to the beach! I really enjoy hiking in the summer. We absolutely love going to the beach. I enjoy snacking on seasonal fruits and spending time outdoors. I really enjoy hitting farmer’s markets and stocking up on all the great summer fruit. I love going to the fairs in the summer. I like swimming and grilling in the summer. I like to go roam round the San Diego Zoo. Absolutely love going to the water parks! My favorite summer activity is going on long bike rides with my family and then eating ice cream. Being in the swimming pool! Nothing more refreshing! I love spending the day at the lake with family and friends fishing, swimming and cooking out. I love doing anything in/on the water, like swimming, snorkeling, kayaking and tubing. Any body of water, it doesn’t matter if it is a pool, the ocean, a river, or the springs. Our favorite summertime activity is bean bag toss. My favorite activity is just soaking up the sun in the summer! Favorite summer activity is swimming. Our fun summertime activity is swimming. My favorite activity is taking my grandkids to our local amusement park. I have several favorite summer activities I love going for long walks at night and I love going to the beach. My favorite summer activity is taking my kids to amusement parks. I like being able to work outside longer. Just hanging out outside, or taking the beast to the beach… warm weather and bright sunshine makes everything nice. as a kid and teen swimming as a adult gold panning before gas prices got to high about 10 years are so ago now just like staying and reading. My favorite summer activity is to go to the water / amusement parks. We love camping and fishing.